A new course debuted this spring semester at the University of Minnesota called Managed Captive Wildlife. It was developed by TRC staff veterinarian Dr. Michelle Willette and executive director Dr. Julia Ponder. 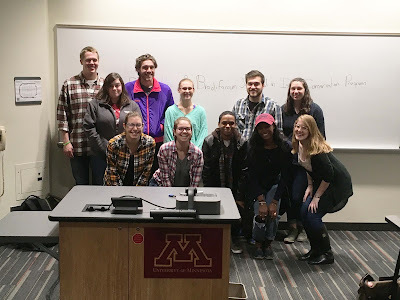 Recently, students were given an assignment to gather information and then come together to debate the use of brodifacum, a rodenticide, in conservation efforts. This topic is based on conservation efforts that The Raptor Center has been involved with in the Galapagos Islands. This work is referenced in an article in the publication Nature. Celebrating Pi Day - with Pi the Bald Eagle!